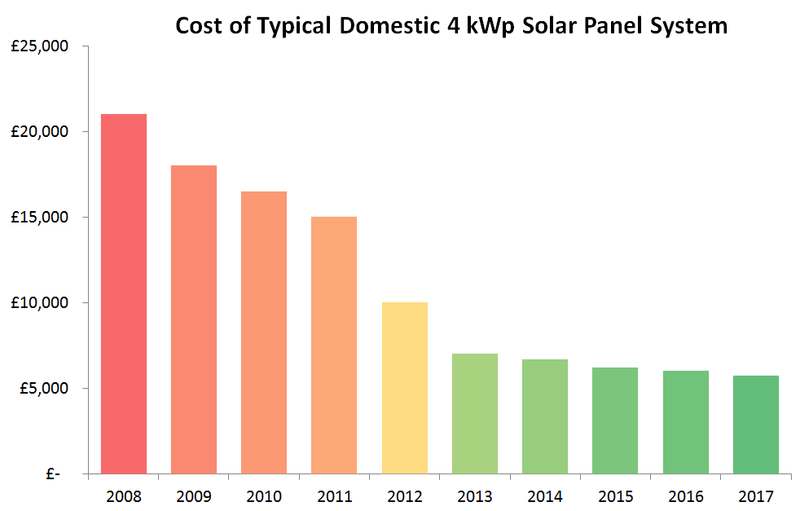 Solar panels are a great investment for both homeowners and business. Why? Part of Exeo Energy’s vision is to help people create and control their own energy future by designing and installing the best renewable energy systems in the world. 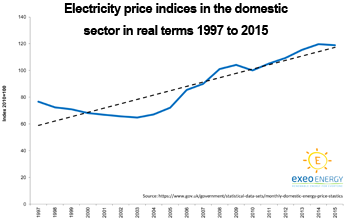 Future energy prices are impossible to predict, especially over the long term. Who knows what electricity costs will be in 10, 15, 20 years? There are so many variables involving global politics, economics and the fact that oil and gas are finite resources. The fact of the matter is that if you can take control of your own family or businesses energy future you will be in a much better position, insulated from any future energy price shocks. Installing renewable energy systems like solar pv panels is a key way for homeowners and businesses to help secure their own, sustainable energy future. 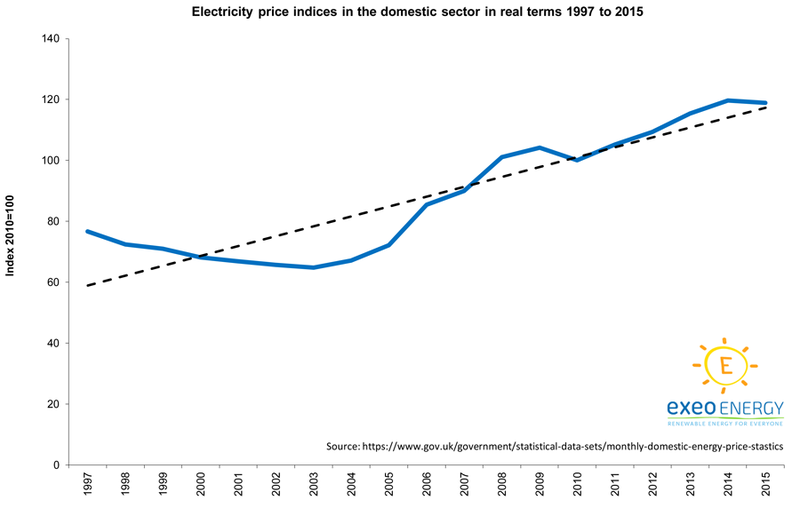 You are also locked in to feed-in tariff rate for 20 years which will rise with inflation (RPI). When you have solar photovoltaic panels installed you have a free, ongoing source of electrical energy for your property. You will also get paid for generating the electricity whether you use it on site or not! Exeo Energy’s solar pv systems are designed with a 25+ year design life. Our systems will be generating free electricity every day for decades to come. Over the lifetime of a typical domestic solar pv system we would expect generation of over 100,000 kWh!!! That’s over £15,000 worth of electricity at today’s prices (at around 14 ppkWh) and that’s without considering income from the feed-in tariffs. During the day your solar panel system will be generating free solar electricity. The solar panels do not need sunshine, just daylight, so even in the depths of winter your solar pv system will still be ticking along taking care of your background needs. If you use any energy during the day you will see a reduction in your bills. Helped by the advanced monitoring that Exeo Energy provides you can start to use your energy in smart ways. For example if you have a hot water cylinder we can use any excess solar power generated during the day to heat up the water using a smart immersion heater. If you have low energy consumption during the day, have relatively low hot water needs and have plenty of excess solar energy this can completely remove the use of oil or gas to heat water during the summer months – another great saving! Last but by no means least; we want to help create a more sustainable future, and we hope you do too! This applies localy in Oxford but also on a national and international level. We see solar energy installations as a key part of the sustainability jig-saw and we want use our skills to do what we can to help people build a low carbon economy. What can Solar Panels look like?